Musicians are notoriously hard-living, but there's one man who, based on deeply affectionate and incredibly wild stories from his (famous) friends, really and truly went for it. Who Is Harry Nilsson (And Why is Everybody Talkin' About Him?) is a fantastic introduction to the singer-songwriter whose flawless voice belied a decidedly imperfect, human existence. 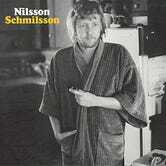 Here are a few descriptions of Nilsson from pals like Terry Gilliam and Eric Idle. "Like a fallen angel. There was this weird combination of something heavenly and beatific about him, and then just dirt, and darkness." "A big bunny with really sharp teeth." "He spent most of his life in pursuit of a good time. And he caught it. And it caught him in the end." He was too shy to tour and too insecure to fully embrace his success—coping with which likely contributed to his alcohol and drug problem, or "death wish"—but made his mark with everything from ballads like "Without You," to "The Point," an animated children's musical, to the eponymous jangly number for Midnight Cowboy (later re-popularized on the ubiquitous soundtrack for Forrest Gump).